I recently had the pleasure of delivering a keynote speech at the Latin American Heads Conference. They key theme of my presentation was the importance of creativity and music in our schools. I told my own story of how music influenced my life and how fortunate I am to have built a career around it. Throughout the presentation, I referenced influential thinkers from all walks of life. What do they have in common? An understanding of the value of music and creativity. They all know that the arts have a role to play in helping us to grow – both as individuals and as a society. Below, I’ve outlined three of the quotes I shared at the Latin American Heads Conference. 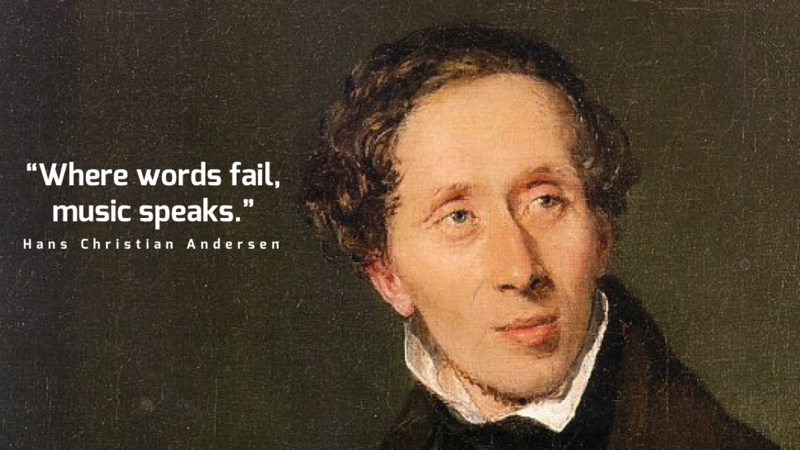 What did Hans Christian Andersen have to say about music? Cleary words did not fail Mr Andersen when he wrote these five. He knew that music is a medium that allows us to communicate thoughts and feelings. Especially those we often struggle to put into words. Why would we limit children’s creativity by teaching them the limited vocabulary of English and not the broader language of music? 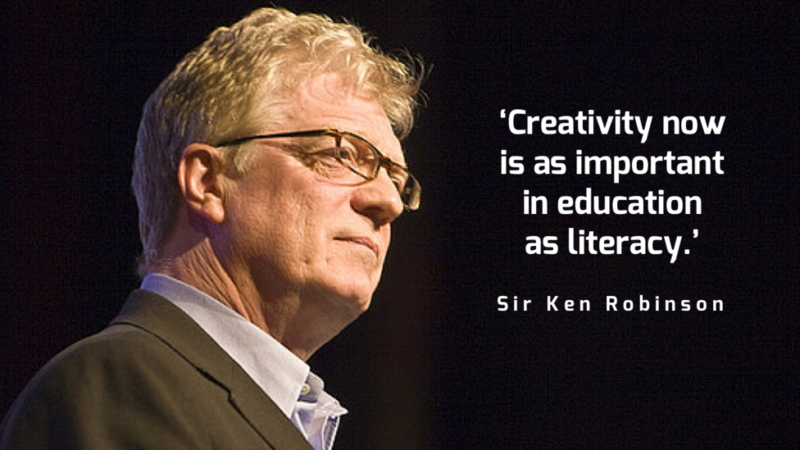 What does Sir Ken Robinson have to say about creativity in schools? Creativity now is as important in education as literacy. It’s a bold statement. Literacy (along with numeracy) is the absolute centre of attention for teachers. SATs, the EBacc, Progress 8 and Attainment 8 all lend weight to literacy and numeracy. Music and the other creative subjects are either excluded (SATs and EBacc) or given less weight (Progress 8 and Attainment 8). Sir Ken recognises that creativity is, and will continue to be, a core driver of our economy. It is the factor that will allow us to differentiate ourselves in the jobs market. If that’s the case, then music and the other arts seem like a sensible starting point to me. What did Picasso have to say about the arts? It’s hard to think of a more ground-breaking individual than Pablo Picasso. His remarkably individual paintings transformed our understanding of the word ‘art’ and contributed to an explosion of creativity in the 20th century. He took his fair share of criticism too. It would be an understatement to say that he divided opinion in the art world. I took years for his ideas to become sufficiently accepted that they were included in schools. Picasso wasn’t just a trailblazer when it came to creating art. He was singing Sir Ken Robinson’s tune long before TED was even conceived. All children are born artists – the problem is to remain an artist as we grow up. 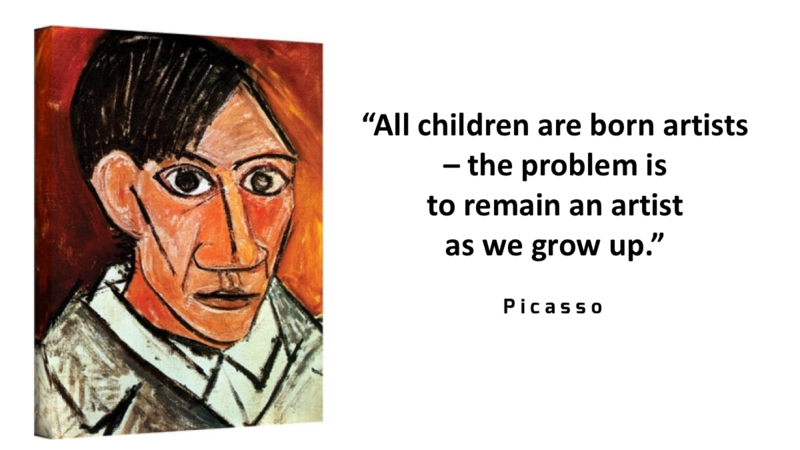 In other words, Picasso felt that our upbringing and education combine to take away our creativity. That ‘adult society’ gets in the way of our creative development. Sir Ken could have easily used this quote as an alternative title for his ‘Do schools kill creativity?’ keynote. That’s what three influential thinkers have to say about music and creativity. What do you have to say? At Beat Goes On, we would like to hear your thoughts on the importance of creativity and music in our schools. Why do the arts deserve a place in the curriculum? What role do they have to play? If you can summarise your thoughts to the length of a tweet, send them to us on Twitter (@BeatGoesOnUK). If you need a bit more space, then try our Facebook Page. We’ll take the best quotes and use them as the basis for a future blog post. Watch Beat Goes On in action!